Dragon Dynasty has now started to release DVDs in the UK in conjunction with Cine Asia and the first releases are Jet Li’s Fist Of Legend and Kill Zone (aka SPL) both as 2 disc special editions. 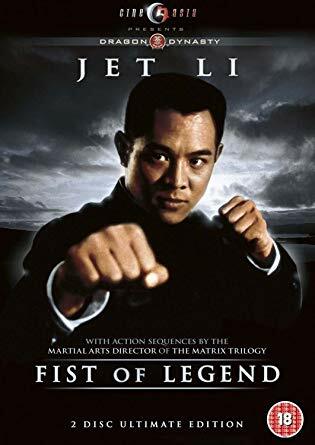 Starting with Fist of Legend this is one of Jet Li’s most acclaimed movies and certainly a fan favourite. Released previously in a horribly dubbed version this disc gives you the choice of the English dub or the far superior original Cantonese, with subtitles. I won’t go into the plot as most of you will already have seen the film one way or another. This DVD set is remastered anamorphic widescreen and is in my eyes a very good transfer. Extra’s are plentiful. Firstly there is an audio commentary by the one and only Bey Logan who as usual gives a blow by blow account of the cast, crew etc, as always a great listen. Disc Two features interviews with director Gordon Chan, co-star Chin Siu-ho and actor Yasuaki Kurata, a featurette on Yasuaki’s screen action school as well as deleted scenes. 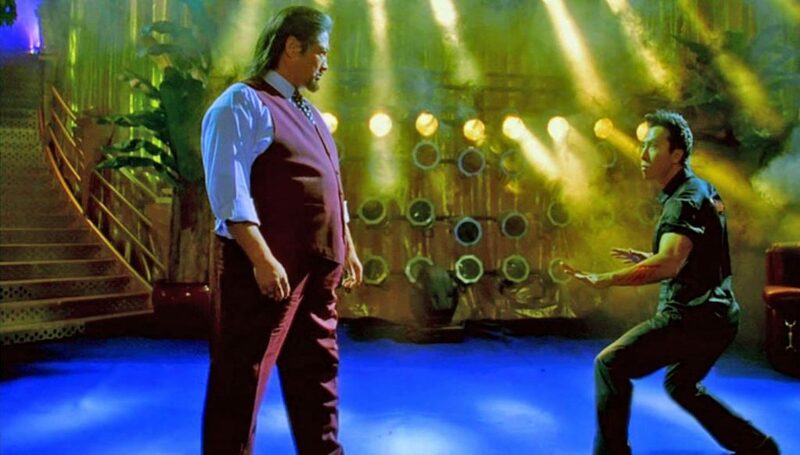 SPL retitled Kill Zone for the western market is a superior cop thriller starring Donnie Yen together with Simon Yam and the legendary Sammo Hung as the villain of the piece. After several key witnesses are killed in a brutal car crash, crime boss Wang Po (Sammo Hung) is released from jail to continue running his underworld activities. The man that put Wang Po behind bars, Detective Chan (Simon Yam), is also injured in the car crash assassination and vows to get Wang Po off the streets at whatever cost. Chan and his men continuously try to take him down but are always unsuccessful. Unfortunately for Detective Chan, time is running out. In addition to life-threatening health issues, his retirement is looming in just two days. Finally, Chan receives the break he was looking for in the form of evidence which can put Wang Po away for life. Complicating matters further, Detective Chan’s hard-lined replacement, Inspector Ma (Donnie Yen), is shadowing him and his men. It’s not long before events soon spiral out of control, forcing lines to be drawn and blood to be spilt, ending in a shocking climax. 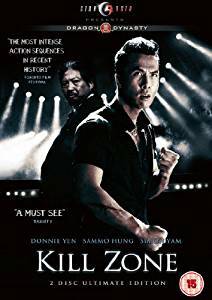 One of the best thrillers in many years to come out of Hong Kong, Kill Zone is a fantastic action film, with great performances and a decent script. The fights are brutal and exciting, watch out for Jackie Wu Jing as Sammo’s right-hand man, his fight in the ally-way with Donnie Yen is a classic. Video and sound are fine, anamorphic widescreen, Cantonese 5.1 or English dubbed. Again the extra’s on this set are very good, Again Bey Logan is on hand for the audio commentary (excellent), Interviews are with Sammo Hung, Donnie Yen, Simon Yam, Jackie Wu and director Wilson Yip. Also there is a making-of featurette. Like Fist Of Legend, this is a must-have movie if you’re a fan of Asian action cinema and apart from the silly title change this is totally recommended. Both titles are PAL / Region 2. Update: Have now viewed both the Blu Ray versions. Fist Of Legend has a lot of grain and some halo effects, an OK transfer. It is better than the DVD but I expected more from a HD release. The sound is DTS Master Audio, but for the English dubbed track only….crazy…There is a Cantonese Dolby 2.0 soundtrack too and as this has the original language and soundtrack and is the prefered option. Extras are identical to the DVD. The Blu ray should be region free, most of the Cine Asia titles are but beware that the extra’s are in standard definition Pal, so if you’re in an NTSC country you need Pal compatible equipment to view the extras. SPL is another story. Superb transfer, lossless DTS Audio with the original language. If you like this movie as much as me it is well worth the upgrade to Blu ray. Extra’s again ARE the same as the DVD and are in Pal SD.